Long time no blog! I feel like I say that every time I write something. Whoops. But anyway. We’ve had this giant bag of candy sitting in the house for a while now. We’ve been eating it slowly but surely… But then Girl Scout cookie season came along, then Easter, and there was so many OTHER desserts to eat! So the candy was left sad and uneaten. Until I decided to repurpose some of it yesterday! 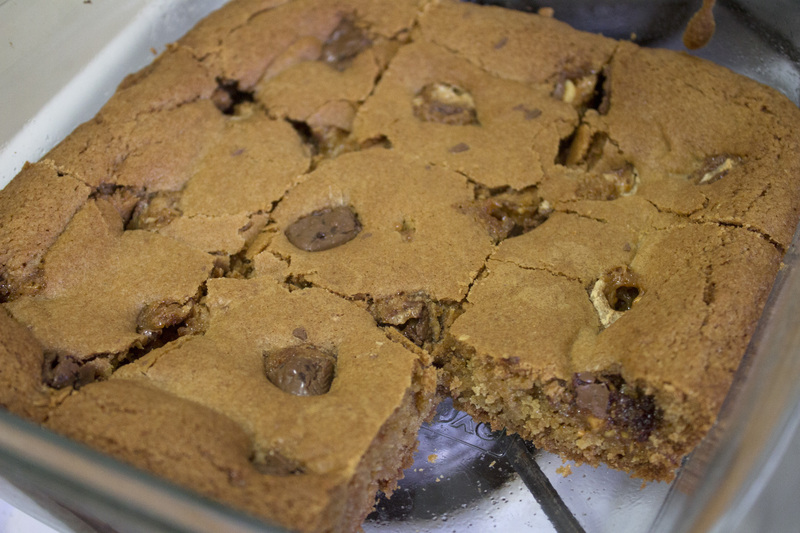 Makes one 8×8 pan, or about 9 blondies. 1. Preheat oven to 350F. Lightly grease an 8×8 baking pan. 2. In a medium bowl, mix flour, powder, soda, and salt. Set aside. 3. In a larger bowl, combine butter with sugar. Whisk in egg and vanilla. 4. Gradually add dry to wet, stirring to make a thick batter. 5. Spread evenly in pan. Sprinkle candy on top and lightly press in. 6. Bake about 30 min, until a knife comes out clean. The Snickers is really great in these! It gives it some extra gooeyness and some crunch from the peanuts. You could also use M&Ms, Milky Way… Almost any type of candy bar. Enjoy! 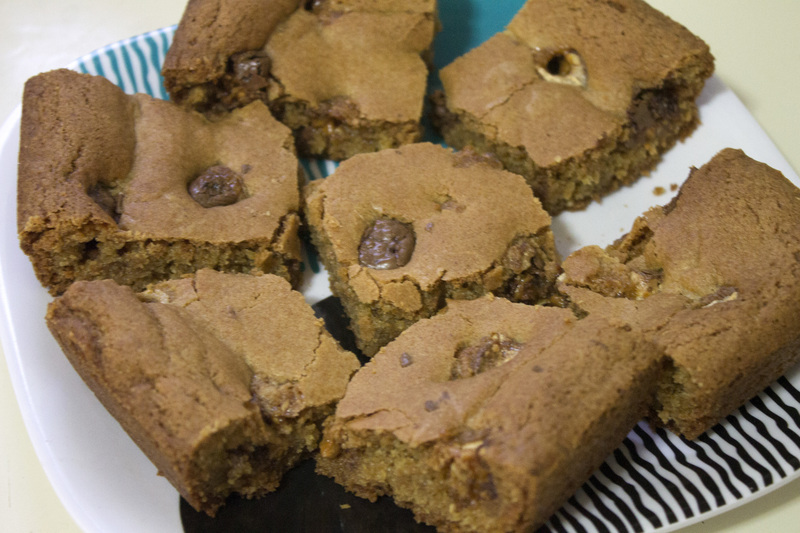 This entry was posted in Brownies and Bars, Dessert and tagged chocolate by Alyssa G. Bookmark the permalink.